In a career spanning nearly four decades Daniel Kaiser has produced a wealth of studies illuminating otherwise little understood aspects of society and culture in medieval and early modern Russia. He pioneered the use of anthropology in the study of Russian law, and he has stood at the forefront of applying statistical methods to the study of daily life in Russia, while maintaining a sensitivity to the cultural contexts within which the records were generated. His scholarship has changed the way we understand popular notions of time, the veneration of icons, naming patterns, burial practices, and a host of other topics that collectively unveil the intimate world of family and community among elites and peasants alike. 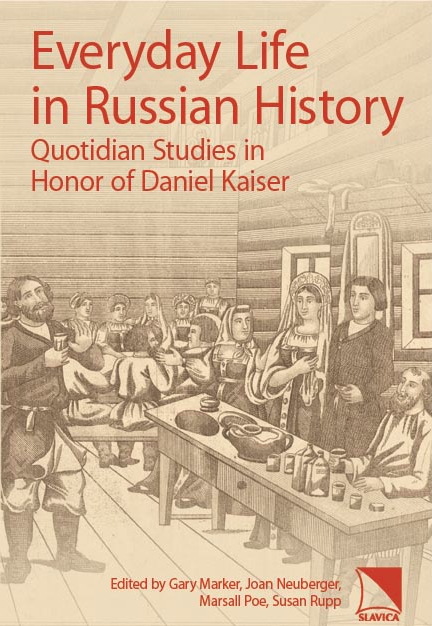 The 23 scholars who have contributed to this volume have come together in tribute to Dan Kaiser and his multiple contributions to Russian history. In keeping with his areas of interests the editors and authors have constructed the volume around the theme of everyday life in Russian history. Gary Marker is Professor of History at SUNY, Stony Brook. Marshall Poe is Associate Professor of History at the University of Iowa. Joan Neuberger is Professor of History at the University of Texas at Austin. Susan Rupp is Associate Professor of History at Wake Forest College.